A few days after businesswoman Zodwa Mkandla showed off her new Range Rover 2018, her lover Genius Kadungure — whose fetish for cars cannot be surpassed — has also acquired his, a Range Rover SVR 2018. The competition between the two is stiff. 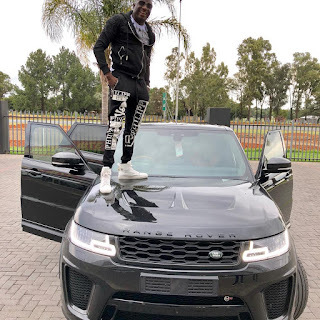 In a video two days ago, in the usual Kadungure style, he showed off his new ride saying God has done it again for him. According to the voice behind the camera Mkandla was the first client to buy the car in South Africa. “First client in South Africa, Range Rover 2018. The mileage looks like a watch, it’s like time, it’s only 21km,” the male voice said.